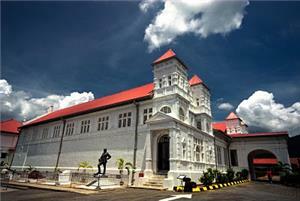 Taiping is situated in the stated of Perak and it is the second largest town in Perak after Ipoh. During the early years, it was mainly for mining activities but now the mining pools have been converted to a beautiful lake called Taiping Lake Garden. 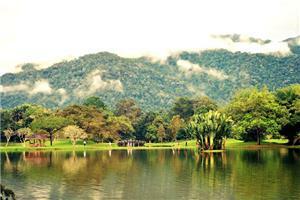 Beside this, Taiping is also famous for its Zoo, where it is the first Zoo in Malaysia. Another attraction will be the hill resort (Maxwell Hill). A must visit place is the Burmese Pool, it is a good place for you to relax and have to soak yourself in the cold water. Besides attractions, Taiping does offer unique dishes that you simply cannot miss. Many people love Penang Char Kuey Teow, but they may not know that Taiping does offer delicious char kuey teow (fried flat noodle). Two famous char kuay teow are its wet char kuey teow with Fish balls and its “firework” char kuey teow. The reason why it is called “firework” char kuey teow because charcoal spark are flying off from the stove during the kuey teow frying process. Taking bus to Taiping is simple because there are few established bus operators offering frequent express bus services to Taiping. Reason why the bus frequency is good because both Konsortium headquarter is based in Taiping. For more information about Bus to Taiping, check out details from us today!